From Cannes to Mikanos, there are several cities known along the Meditteranean known for their reputation as romantic hot spots. Whether this is because of the natural beauty of the city or because, for whatever reason, certain folklore has developed over decades, couples have and will continue to visit the world’s most romantic destinations to enjoy a well-earned break with their loved one. 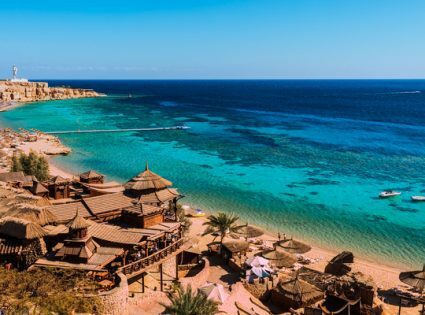 If you have done a weekend in St Tropez, spent the night in Milan or honeymooned amongst the Greek islands, the resorts on Egypt’s the Red Sea are fast becoming a lover’s favorite romantic escape. But what do you think of when someone mentions Egypt? Perhaps it is pyramids, mummies or endless deserts. Not exactly romantic, is it? Forget about those preconceptions and take a chance to explore the possibilities of honeymooners paradise. A quaint destination reputed for its romantic Red Sea escapes. What could be better than sitting under the night’s sky, looking up at the stars while enjoying a locally prepared dinner? Experience an authentic and unforgettable tour of these beautiful untouched lands. 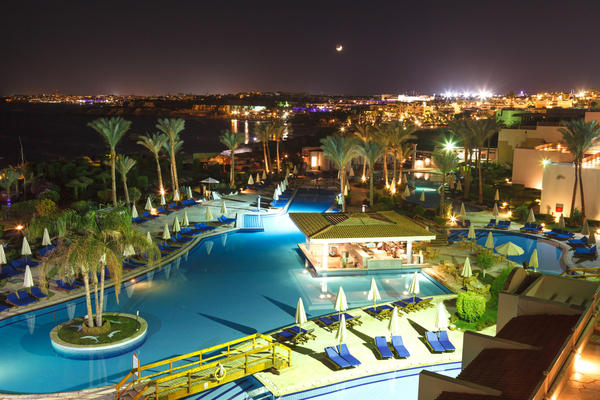 A Sharm el-Sheikh stargazing trip really is a one of a kind experience; as such a clear, uninterrupted view of the heavens is these days not always possible, especially in the big cities. Plus it is so unusual that you’ll be sure to score a few brownie points for creativity with your other half. Often a place can simply look romantic and the Red Sea area as a whole is no exception. Sharm el Sheikh is perhaps the most famous of the Red Sea resorts and is famous for its round the year sunshine and fabulous beaches. 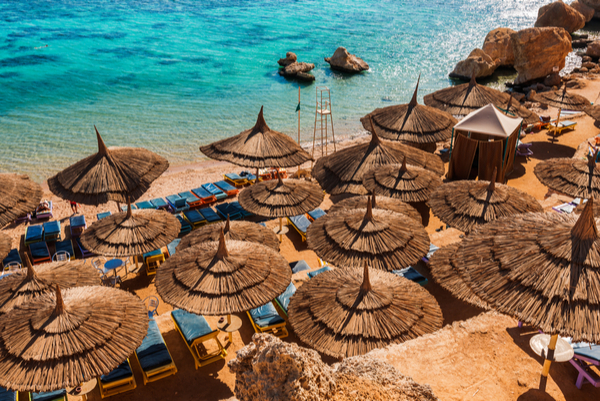 If you just want to spend some quality time with your partner on whiter than white sand and warm waters, Sharm el Sheikh will not disappoint. 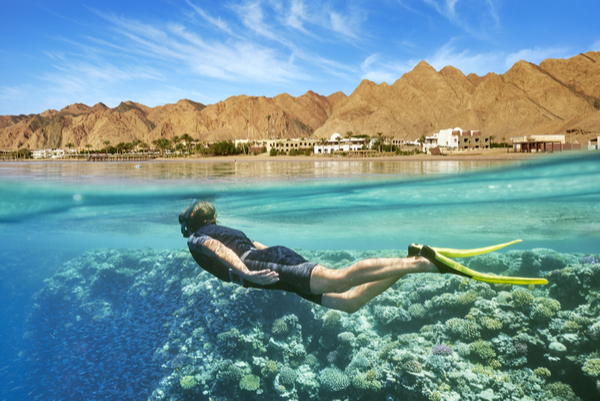 The Red Sea is lovely and warm and a dream for divers and snorkelers alike. Expect to see tropical fish and coral reefs galore. What? Shopping when on holiday? This may seem like a nightmare to most men but anyone with a bit of sense would take their fair lady to the Bedouin village of Dahab to keep them in their good books for a very long time indeed! 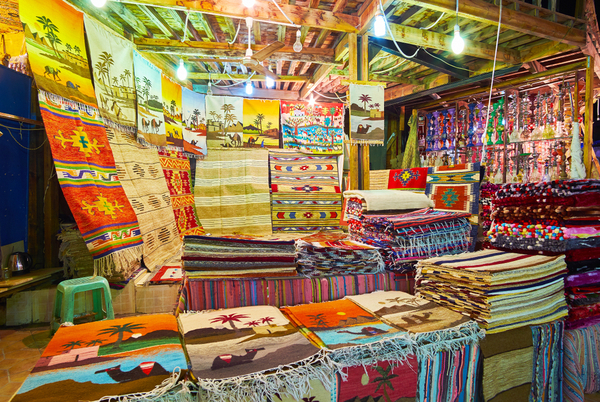 The town is well served from the resorts of Sharm and with some of the lowest prices in Egypt couples will be able to stock up on bargains which will no doubt make up for dragging your man around the shops! Of course, you’ll also be able to spend the nights in first-class restaurants, wining and dining each other to your heart’s content. But with the Red Sea on your doorstep, beautiful beaches to laze on and a lovely clear sky above you, romantic yet cheap holidays abroad to Sharm el-Sheikh should be on your to-do list for next Valentines Day – or any time for that matter!